Fuel cell technology is set for prime time as major automakers unveil street-ready hydrogen cars - but the question remains how best to fuel them. Well, here's an idea - run them on poo power! 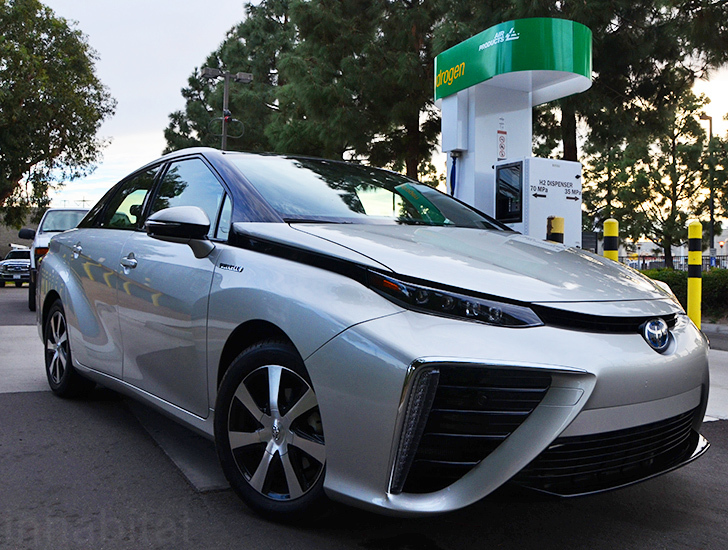 Yesterday I test drove a futuristic Toyota Mirai (one of five pre-release vehicles in the US) to the Fountain Valley Renewable Hydrogen Station, where I refueled it on clean hydrogen gas made from raw sewage. You can generate hydrogen fuel from a variety of sources - including geothermal energy, solar power, wind turbines, and yes - human waste. 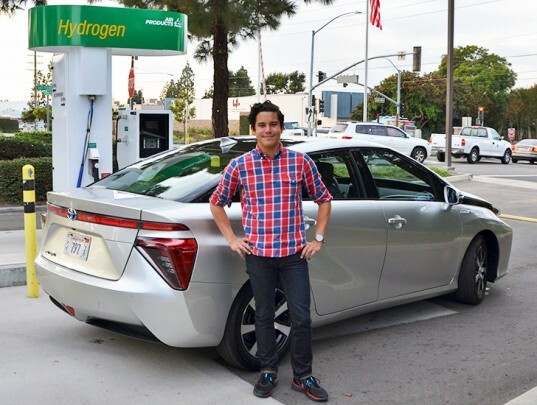 The Fountain Valley Renewable Hydrogen Station in Orange County, California has the world's first tri-generation system, which transforms sewage into heat, electricity, and hydrogen fuel. The plant runs anaerobically digested biogas through a high-efficiency molten carbonate fuel cell to produce 100 kg of hydrogen each day - enough to fill 25-50 fuel cell electric vehicles. 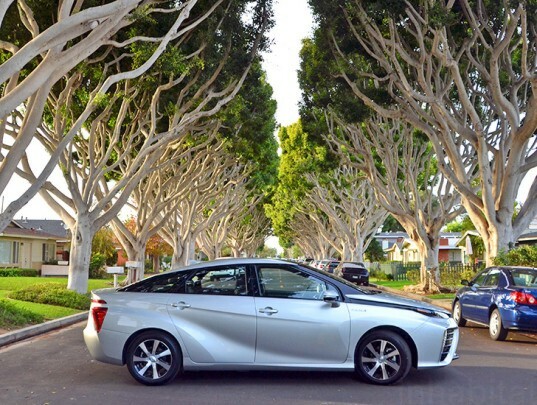 The Toyota Mirai drove like a dream - it floats along the road and the ride is virtually silent save for the sci-fi sound of the hydrogen pump and the whirr of the electric drivetrain. The car's electric motors give it plenty of torque and a sprightly pickup, and the vehicle's touch-sensitive controls are a pleasure to use. The refueling process was a breeze at the Fountain Valley station. It took a few seconds for the pump to pressurize, and then I attached the gas-like pump to the hydrogen valve and locked it in. The mechanics are remarkably similar to the way a standard gas pump operates, and the entire process took less than five minutes.